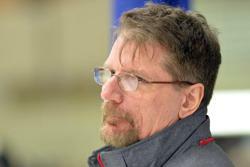 Cathy Klein, the wife of Benilde-St. Margarets' boys' hockey goaltending coach Tom Klein, has been diagnosed with Stage 4 liver cancer and the Red Knight hockey parents and boosters are looking to help the family. A GoFundMe site has been set up to help the Kleins navigate this difficult time and all of the expenses they are facing. Anyone wishing to assist the family can go to the GoFundMe site at: https://www.gofundme.com/cathy-klein-fund. Information on the 2017 Red Knight Summer Training Program, including a link to register, can be found here. 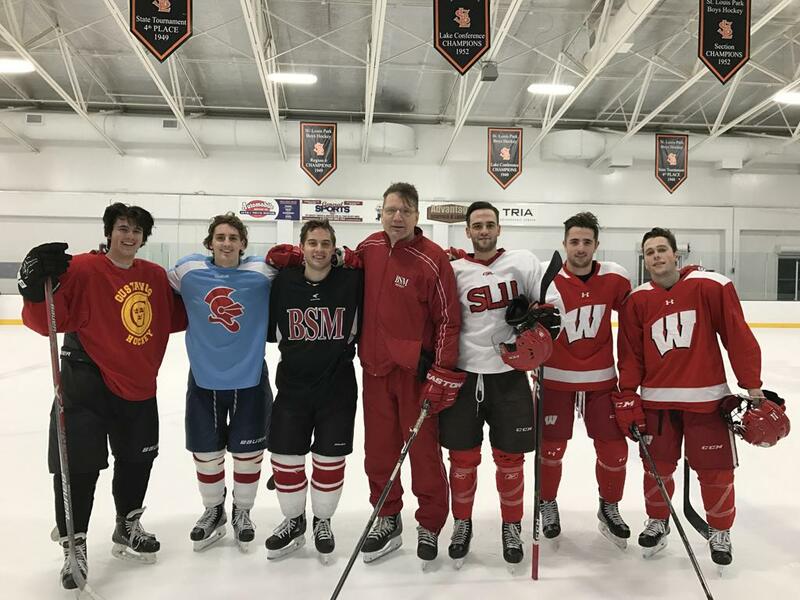 2016 Alumni Game participants: Jerry Calengor ('16), Auggie Moore ('16), Ben Newhouse ('15), BSM goalie coach Tom Klein, Christian Horn ('12), Grant Besse ('13) and Dan Labosky ('13).